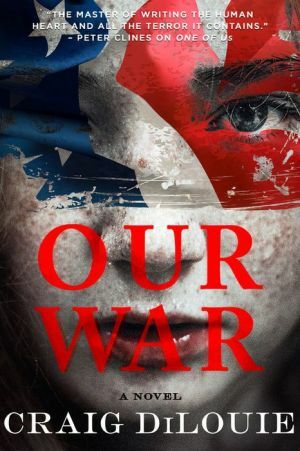 A prescient and gripping novel of a second American civil war, and the children caught in the conflict, forced to fight. When the president of the United States is impeached, but refuses to leave office, the country erupts into civil war. 10-year-old Hannah Miller, an orphan living in besieged Indianapolis, has joined a citizen's militia. She had nowhere else to go. And after seeing the firsthand horrors of war, she's determined to fight with the Free Women militia. Hannah's older brother, Alex, is a soldier too. But he's loyal to the other side. After being separated from Hannah, he finds a home in a group calling themselves The Liberty Tree militia. When a UNICEF worker and a reporter discover that both sides are using child soldiers, they set out to shine a light on something they thought could never happen in the United States. But it may be too late because even the most gentle children can find that they're capable of horrific acts.